Do all Perth People Dream of Melbourne? I had the good fortune of attending the swarm conference in Melbourne this past week. As I hadn’t had a holiday for a number of years, I decided it would be best to combine the two into a week of pure awesomeness. Holiday plus social media and community manager conference plus catching up with friends equals win. Plain and simple. I had always planned to go to Melbourne, having seen many a Perthite head over there and blossom, but it was always something that required a good reason rather than just a holiday. I will post separately about the food I experienced over there, choosing this time to just write about the comparison between Perth and Melbourne. In Melbourne, when you stand at a pedestrian crossing, the cars actually stop for you. Even if they have right of way. In Perth, they see you as a challenge and will hunt you down. Those in customer service generally truly want to serve you. The waiters understand that they are the line of first impression, so if they do a good job, people will have a better experience. People in stores genuinely want to assist you in making a good purchase. The people in visitor centers want to help you find your way. The concierge at your hotel, even if they’re new to Melbourne themselves, wants to make sure you have a good stay. Hook turns don’t freak drivers out and they allow for greater flow of traffic. Put those in Perth and wait for the in flux of emergency casualties. People in Melbourne want to use the city. In Perth, the city turns into pumpkins come six o’clock in the evening. With spinnafex. For real. In Melbourne, even if you’re lost you can find something to do. There are little bars and niche places down almost every alley way and turn. In Perth, if you’re lost, you’d better hope and pray you come out of it alive. In Melbourne the public transport understands that people actually want to use it to get around the city. In Perth, public transport is a sometimes thing, and even then, it’s dodgy at best. You certainly don’t rely on it t get around the city, unless you’re a traveler. 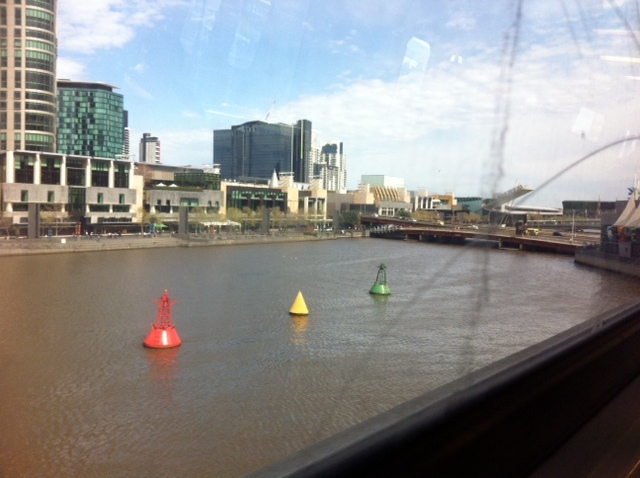 Melbourne has more than three shades of green. Perth has more than three shades of brown. Deregulated shopping hours have made Melbourne an easier place to work in a life/work balance, as you don’t have to rush around to do your grocery shopping so much. In Perth, we baulked at Sunday City trading. In Perth, we have three months of vaguely decent temperatures to go wandering around outside in. In Melbourne, they have three months of vaguely unbearable temperatures. In Melbourne, you know the areas to stay away from if you don’t want to get harassed/violated/king-hit. In Perth, if you don’t want any of those things to happen, you just don’t go to Perth. Okay, so that’s my comparison. Got other ideas? Think my opinion is wrong? Let me know in the comments below!